my group of gals is always looking for a new sushi place to try. so when someone (hi, b!) suggested macku signature sushi on halsted in lincoln park ... i jumped at the opportunity to try it. i had heard good things, so why not? about macku : "the menu at macku is defined by a unique palette of ingredients, textures & flavors. dishes combin sweet with savory, along with hints of spices and smokiness. above all, every dish has a unified intention, a clear vision. that vision belongs to chef/owner macku chan." beautiful! wakame, tofu, green onions & jalapeños. as miso soup is generally not vegan (boo, fish broth), i was so excited when our server told me the macku version is ... i obviously added jalapeños for some extra spice ... warn & delicious. fresh tofu, mixed greens, tomato salsa, wafu dressing. non-vegan fryer at macku, so i went for the fresh tofu. this was surprisingly tasty. unusual-ish flavors for a japanese restaurant ... but in a definite good way. in summation ... miso soup = great. tofu salad = good. roll = fine. 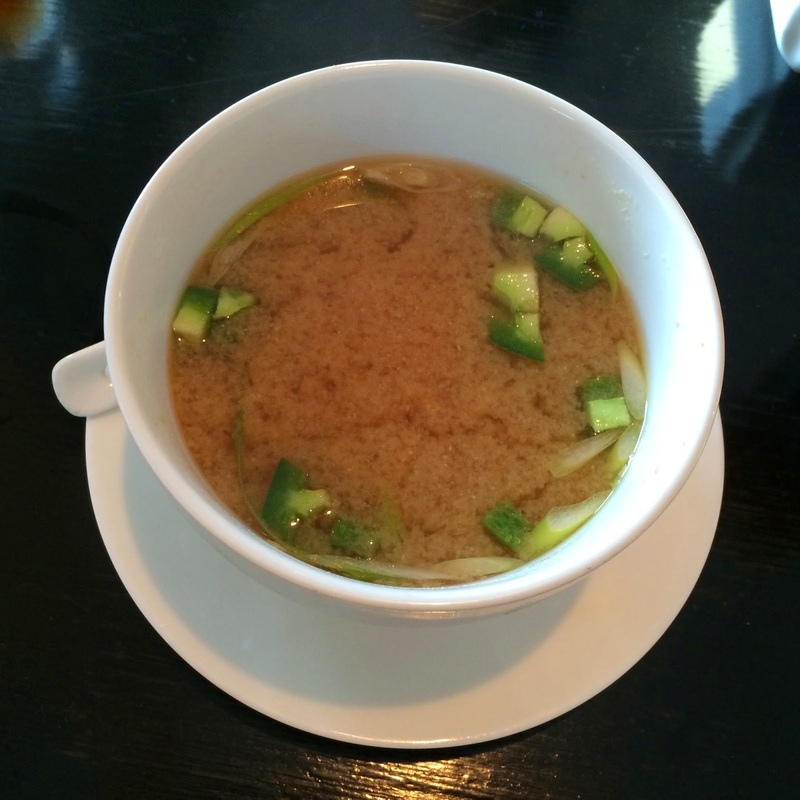 if you've got a hankering for vegan miso soup, i'd say it's worth the trip.